The SS216 just got that much cooler with the all new Matte black finish that ITP calls the Black Ops. 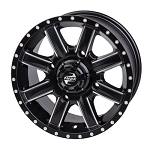 This all black wheel looks awesome on any ATV or UTV. 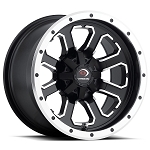 The lightweight, one-piece aluminum SS216 is as aggressive as it looks, due in large part to ITP’s all-new Rock Armor reinforced inner wheel lip design. This advanced feature makes an already high-endurance wheel even more bulletproof. ITP’s SS Alloy wheels have come standard with a lifetime structural warranty for years—an industry first, as a matter of fact—and that applies to the SS216 as well. Now with its Rock Armor construction, the SS216 provides unquestioned owner confidence. The SS216 is tough enough to boast a 1000-lb. load rating for both its 12x7 and 14x7 sizes, perfect for the requirements of the most demanding, modern side-by-side UTV applications. 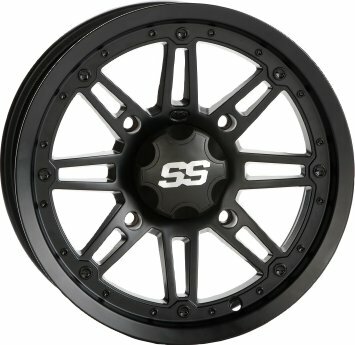 Of course the SS216 is a perfect match for most popular utility/4x4 ATVs as well. A matching SS™ center cap is included with every wheel. 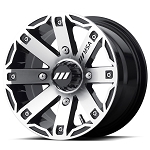 - ITP wheels are sold individually. - Matte black finish with matte clear coat. 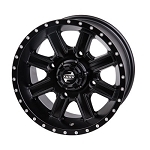 - Heavy duty 12 inch Atv wheel rated at 1000 pounds.